Frenchline Industries completed 3 sets of Units in Victoria Road, Malaga for Premiere Building Solutions. This project was quite a challenging task for us here at Frenchline as we have never ventured into this sort of work before. We had the responsibility to Draft, Fabricate and install all Steelwork + Awnings to all 3 Buildings including all Purlins. Each set of Factory units were different and this is why it was such a great challenge for us. This was a great job for Frenchline to get as we love to fabricate big heavy steel. This project was given to us by Jack's Winches with the confidence that it would go back to them correct and in a timely manner. 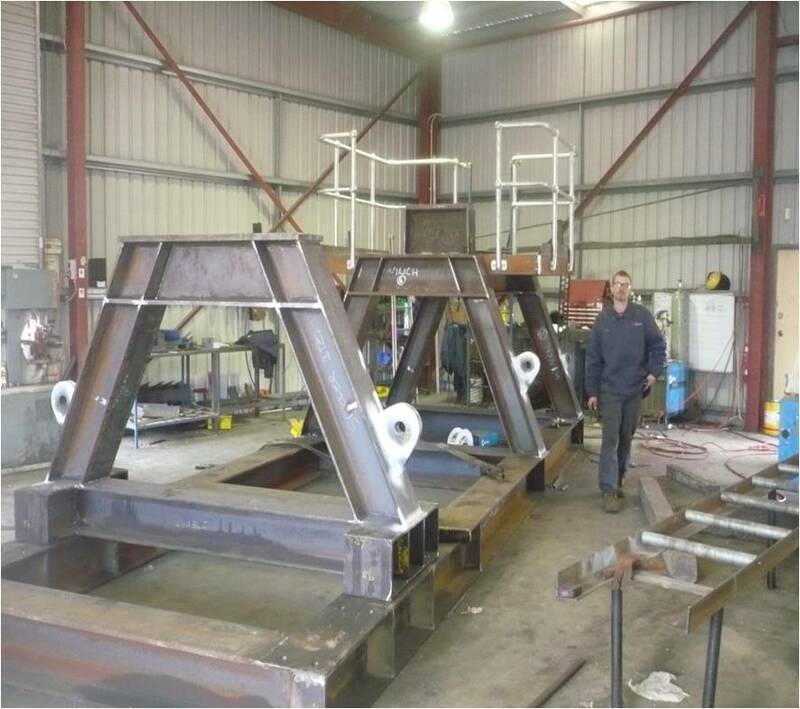 The Spool Frame itself consisted of a frame built from 310 UC and weighed in around 8t after completion. We fabricated the whole frame which included meg particle testing supply and install safety handrailings and delivery. 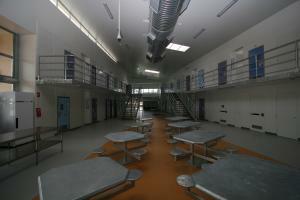 The Western Australian Government engaged Doric to carry out the design and construction of a range of new facilities including accommodation, vocational and hospitality training, storage and infrastructure upgrades at Acacia Prison. The project scope of work comprising the design and construction of new facilities includes, accommodation (387 beds), vocation facilities, at risk education facility, heavy industries extension, external store, car parking and recreational facilities. Frenchline Industries was engaged to supply and Install all new Handrails to the new accomodation wings along with the supporting steelwork for the top floors.Frenchline worked close with head contractors to assure completion dates were met and standards were kept high at all times. We have recently won the contract to produce Custom Made Industrial Telescopic Automated Gates. These heavy Duty gates are popular among clients with Shipping Goods, Car Yards and Machinery Hire.